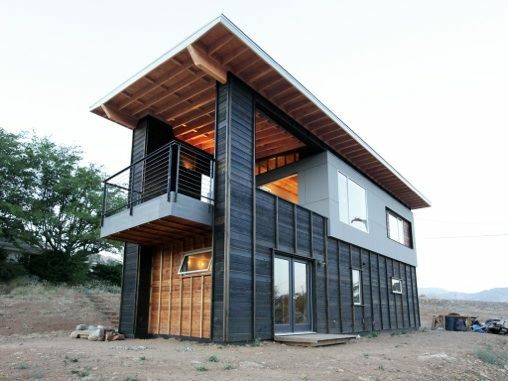 This storage container home accents it’s crisp charcoal exterior with natural wood. We love the clean lines and the open upper floor. This cabin keeps the dark exterior from feeling oppressive with it’s gorgeous glassy design and we love the fun circular window along the side of the upper floor. 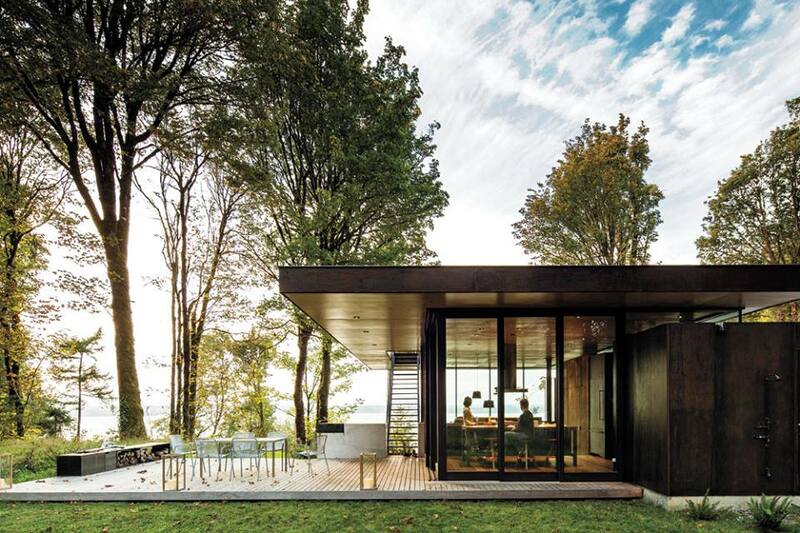 This angular cabin really stands out in its lush location. 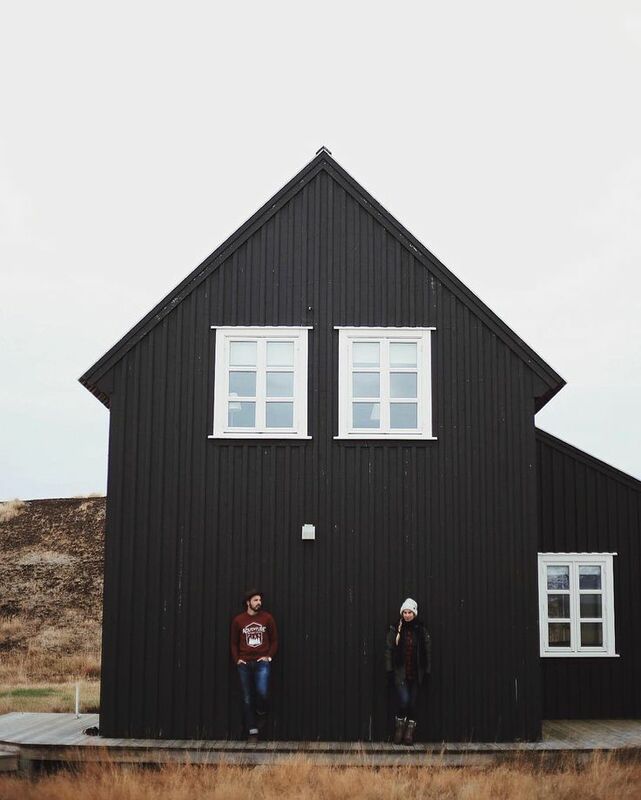 Minimalist but cozy, this simple black standalone guest house stands out in stark contrast to it’s surroundings. What an unexpected twist on the traditional farmhouse! The clean white trim adds an extra punch to this Icelandic home. 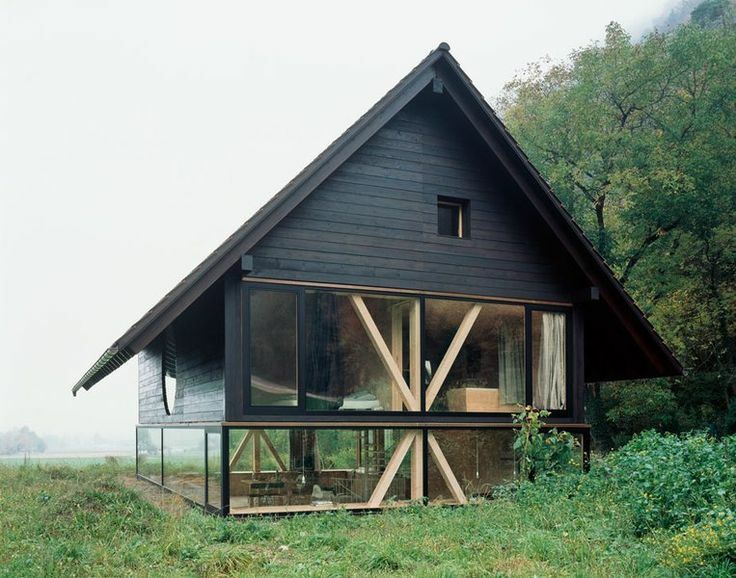 Another modern cabin with a dark but warm wood color. We love how the light catches the lighter wood in the ceiling and the porch and brightens the place up from within! Big, bold, and beautiful, this tall, angular multi-story home looks inviting with it’s enormous windows and outdoor areas!